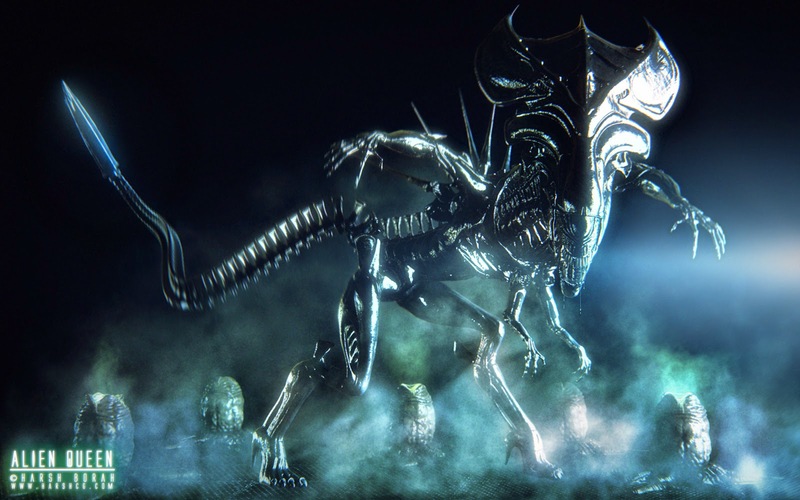 Recently there’s been a rash of blog posts saying that Ken Ham says aliens can’t be saved. The whole thing is something of a quote-mine because what Ken actually said was that he didn’t believe aliens even existed, largely because of the theological problems they would represent, including impugning on the specialness of Earth and the concern that aliens would be fallen but unable to secure salvation. One YEC critic, JW Wartick, has decried that Ham has “overstated his case to the extreme.” As a point of irony, this same critic stated that saying that aliens can’t be saved makes Ham guilty of a “gross theological error,” which quite an overstatement all its own! The cover of my debut novel, Johnny Came Home, has a silver screen flying saucer on it. 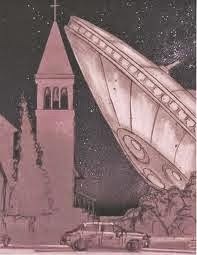 The saucer has just crash landed and skidded to a stop at the front steps of the local church, Soul’s Harbor. That’ll preach, I guarantee you. It got me thinking about extraterrestrials. Aliens. Little green [or grey] men. Are we really alone? 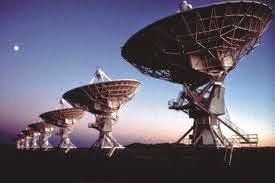 Or might there be intelligent life somewhere across the universe? I should mention right up front that I’m a Biblical Creationist. I believe God’s revealed Word when it says God took 6 days to created everything from nothing, that He created the flying creatures and sea creatures on Day 5 and told them to be fruitful and multiply after the kind, that he created land animals on Day 6 and likewise told them to be fruitful and multiply after their kind and that He made man [and woman] by special acts of creation in His own image. Furthermore, I believe the Bible’s sure record when it relates that death, suffering and thorns entered the world by Adam’s sin at the Fall and that the entire world was covered in a great Flood in the days of Noah. I’m also a science fiction author. This being the case, it would be pure cowardice not to address the question and explore the implications of little green men on traditional Christian doctrine. I find it interesting that they DON’T base their views on the inevitability and alleged scale of extraterrestrial life on actual probability studies. You see, abiogeneis [life springing from chemicals by natural processes] and molecules-to-man evolution are so statistically improbable as to rate impossibility. Multiplying zero by infinity doesn’t really add up to better odds. No, evolutionists are simply arguing from incredulity and from ignorance. “Now, doesn’t all that space seem wasteful?” and “If it happened here it must’ve happened by undirected processes because we won’t consider God at all – against the rules, you see. And if it happened here and it was completely impossible then maybe it’s not so impossible after all. Maybe it’s only apparently impossible, not actually impossible – after all, evolutionists would have us also believe that we may observe apparent design in nature, but not actual design! Now I tend to think that if they had the most improbable of chances for undirected processes to lead to complex intelligent life and they multiplied it by the alleged deep time and scale of the universe that they’d would’ve used up all of their odds on Earth alone. To put it a different way, even if it was extremely improbable and it happened anyway, the chances of it happening again become less likely not as likely or more likely. Yet what if we did find life on other planets? Would the Bible then be invalid? Well, first, we have to ask ourselves, What kind of life? We should have to first note that non-sapient life would constitute no Biblical challenge. At all. But let’s take this one step at a time. What about specks of life on some Mars meteor or bacterial life within our own solar system? What explanation could the Creationist offer? The simplest explanation is that such is that said life hails originally from Earth and that it survived aboard ejecta launched out of our orbit from supervolcanoes or meteorite impacts, such as those we associate with the Noachian Flood. A meteorite hits the Earth. It divets out a chunk of Earth rock and flings it out of orbit and the amazingly resilient organisms survive the rigors of space and eventually land on other planets or moons in our very own solar system. Yet what if it weren’t from Earth? What if it were methane-based instead of carbon-based? Would that discount the Biblical revelation of special Creation? Not really. Creationists could always point out that the Bible is God’s revealed Word, but that it focuses primarily on God’s relationship with this planet and the creature He created in His own image. Its silence regarding extraterrestrial lifeforms would not invalidate its inerrancy. We might simply note that extraterrestrial life was not really germaine to the discussion as it were. It is unlikely that man will discover life from beyond our solar system, given the prohibitive nature of space travel. All science fiction writers employ black boxes to overcome this obstacle [warp engines, inertial dampeners, wormholes, hyperspace], but the physics and distance make the whole venture wholly impractical. Impossible really. If we discovered extraterrestrial life at all, it would likely be because said life came calling. 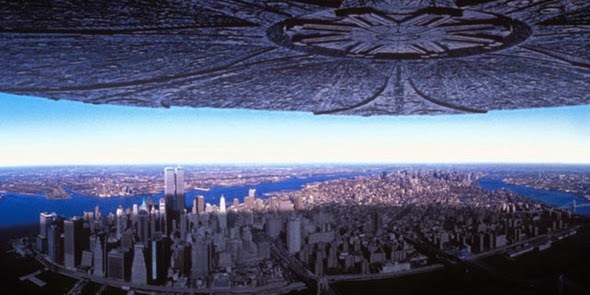 I can’t imagine that being a good thing [and this is something that even evolutionists like Stephen Hawkins agree on].That is to say, meeting aliens is most likely to look like Independence Day or the V television series than The Day the Earth Stood Still. To put it another way, they’re more likely to be Daleks or Starmen without the intervention of a plucky Time Lord! (If you got that reference, you’re my people ;] ) If they have superior technology to allow themselves to travel across the universe at near lightspeed without their ships being torn to shreds in the process, then they have really, really good shields and there’s not a thing we’d be able to do to said ships with the armaments Earth currently possesses… including the nuclear option! Yet what if we found extraterrestrials? It could happen, I suppoose. There were good preachers who warned that man would never reach the moon, basing their predictions on the fact that God prevented completion of the Tower of Babel. Yet we made it to the moon. God did not see fit to limit our horizons to keep our theology as simple as some would’ve prefered. If it pleased God, He could populate the ether and its heavenly bodies with all sorts of life. So long as it was non-sapient, it would pose no historical or doctrinal challenges to Biblical revelation. Non-sapient life could be as intellectually and socially complex as ants, bees, locusts, dolphins or even apes and still pose no challenge to doctrine. Despite their social complexity, bees are still animals. They do not require salvation. They are fallen with this world, but they have no souls to save! So the extraterrestrials could even be quite socially or intellectually complex, but still not be truly sapient. 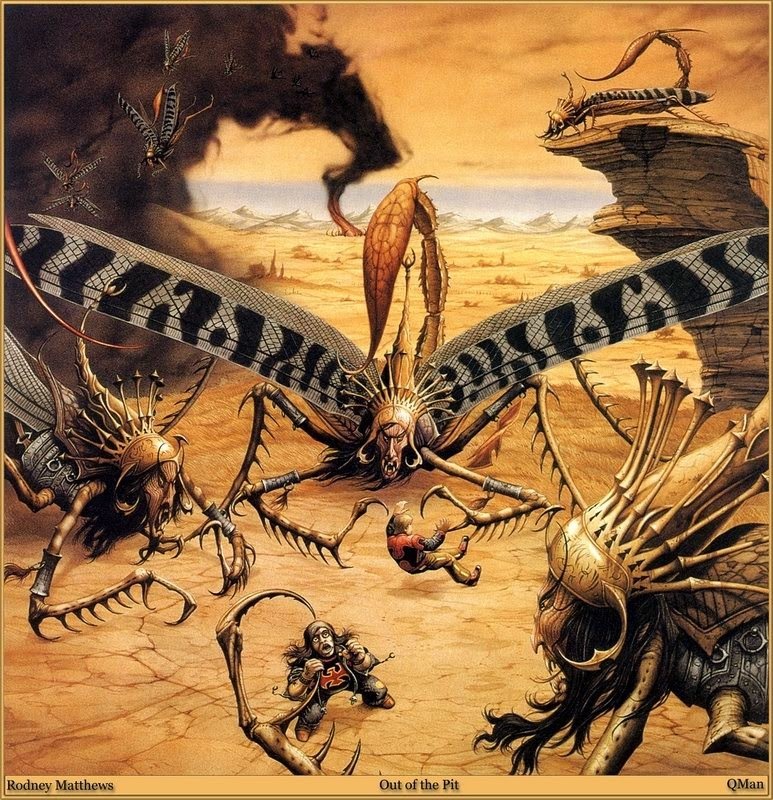 Sapient aliens pose the only true doctrinal challenge to Christendom. Someone once pointed out that Superman is a bigger problem, doctrinally speaking, than Harry Potter! Where does his soul go when Kal-El dies? Superman seems to possess a defined sense of morality and also a flawed nature we theologically ascribe to original sin amongst the sons of Adam; does he require salvation? How would he get saved? Did a Christ figure die for Kryptonians on their planet? Did they have a system of law, a schoolteacher like Mosaic Law, until he should receive the fullness of the Gospel here on Earth? Would God be obligated to offer salvation at all [after all, do not angels long to look into these things?]? See the sorts of questions sapient extraterrestrials engender! A science fiction writer answers the what-if questions. As Biblical Creationists we have an opportunity to use sci-fi as an exploratory apologetic to see how we might answer these scenarios based on the true revelation of God’s Word. bear a close ressemblance to the locust creatures of Revelation? 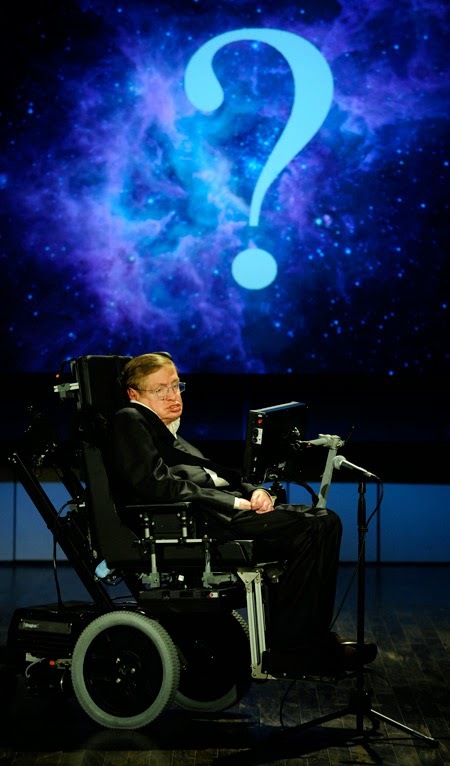 In fact, given the likely rarity of intelligent life from the evolutionary worldview, he supposes that if sapient life does exist, we’re simply missing each other in the vastness of space. From a theological point of view, we could say that if we were to link up with another sapient alien life form (and recognize it as such) it would be like finding a needle in a haystack in a tornado with a pair of tweezers while blind-folded. Stay tuned for the second part of this article, Can Aliens Be Saved?